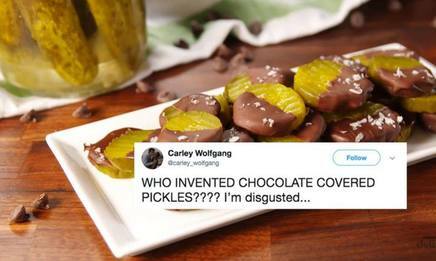 Chocolate covered pickles are a thing! People are actually eating now, but it kind of makes sense! To be fair, the idea of dunking a pickled cucumber in chocolate isn't new — not by a long shot — but due to the natural ebb and flow of the internet, it's trending again.